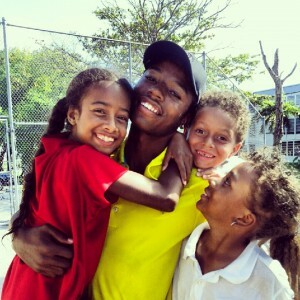 Fore Life, Inc. is more than a golf program. We care, encourage, challenge and empower youth Fore Life. The goal of the Fore Life Project is to combine the principles of possibility, hope and success and create a one of kind facility that will compliment and strengthen all programs of Fore Life, Inc. and other nonprofit programs that serve to protect and empower children ages 5 to 18 years. We have identified the 63 acre Inverrary South Golf Course in Lauderhill, Florida as the perfect site for the Center. Our capital fund raising campaign for the purchase and development of The Center Fore Life is ongoing. We are looking forward to the project gaining momentum and support from not only the Lauderhill Community, but all of South Florida. The residents of the City of Lauderhill have shown their overwhelming support for the Center by giving their approval to proceed. Additional revenues will be generated through annual golf tournament, grants, teaching clinics and contracts done by golf professionals affiliated with Fore Life, Inc. Provide interactive life altering skills and experiences, not just golf lessons for use at and away from a golf facility. To link youth with a caring group of adults that can relate to the issues they face daily and who are committed to helping them identify transferable life skills and values. Form coalitions with Department of Juvenile Justice (DJJ), State Attorney’s office, local law enforcement and other agencies that will benefit from Fore Life’s specialized programming. Be identified as not just the preferred diversion program in the juvenile judicial system, but a program that serves all youth, offenders and non-offenders. Provide access to Fore Life programming to help support and strengthen existing agencies and programs that already serve to foster family health and youth at risk. Develop strategic alliances with the public and private sectors, as well as corporations and individuals who support the vision of Fore Life, Inc.
Form a collaboration/partnership with local school systems to integrate Fore Life programming into their curriculum, re: credit hours, community service hours, etc. Utilize various professionals that also play golf to translate the life skills they used to achieve success in their respective careers and their lives. Individuals that share the Fore Life vision and are desirous of making a difference in the lives of youth. Raise national awareness of the vision of Fore Life, Inc. and the benefits that it can offer today’s youth. Provide a web page which disseminates information to communities in need of Fore Life, Inc. programming. Utilize a database for participants and social service researchers to track progress and report outcome to create statistical data to analyze the effectiveness of Fore Life, Inc.
To give all youth exposed to Fore Life the opportunity to realize their full potential. To assure that Fore Life youth are empowered with decision making skills and are challenged with appropriate experiences that make them less vulnerable to the perils of today’s society. 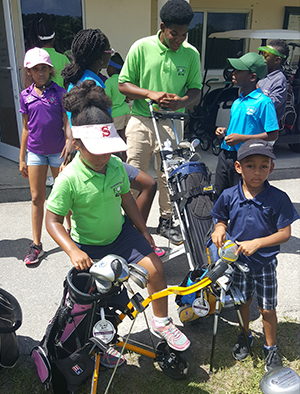 Fore Life, Inc. is a not-for-profit 501(c)(3) established in 1998 to use the game of golf to give at-risk youth every opportunity to succeed.